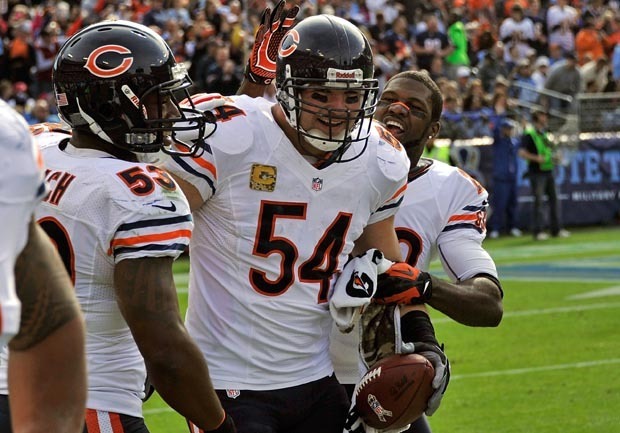 LAKE FOREST, Ill. Chicago Bears linebacker Brian Urlacher still says he would lie to cover up a concussion. With quarterback Jay Cutler recovering from a concussion, the Bears' defensive star wasn't backing off comments he made to HBO earlier this year. He responded "yeah" when asked if he would try to cover up such an injury. He said he's not sure "how you can lie these days with all the (stuff) they have to see who's concussed and not." He also said the NFL needs to do a better job protecting players' knees. Head injuries and the long-term effects has been a hot-button issue in sports, particularly in the NFL, and it's been a big topic in Chicago this week. It's not clear if Cutler will play Monday against San Francisco.